I drive by this view every day on my way home from work. 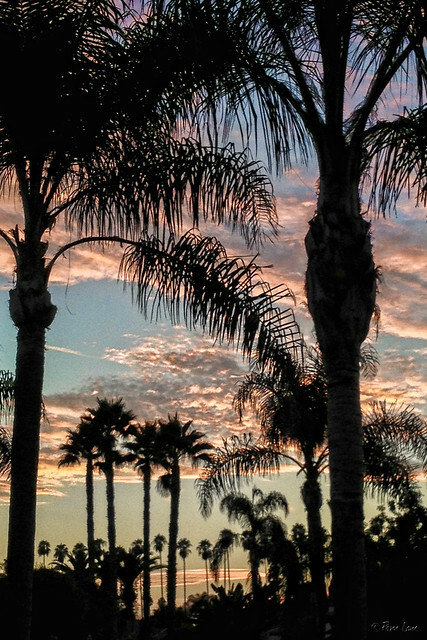 But the last couple of weeks, with my drive coinciding with the earlier sunsets, I've been struck by the layers upon layers of palm trees against the sky. See Lined with palms for a different view of the palm trees in the distance. Thanks for providing a little bit of visual poetry every day! Thanks, Frank! I like that -- "visual poetry"